The AMA Supercross and Motocross Championships are American-based series recognised by the AMA (American Motorcycle Association). 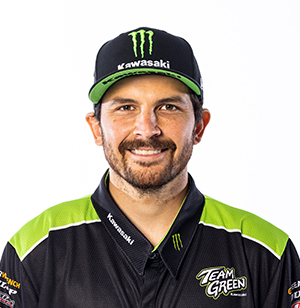 AMA Supercross (AMA SX) races are held in specially prepared man-made courses in baseball fields or stadiums, while AMA Motocross (AMA MX) races are held on outdoor dirt courses with man-made technical sections. 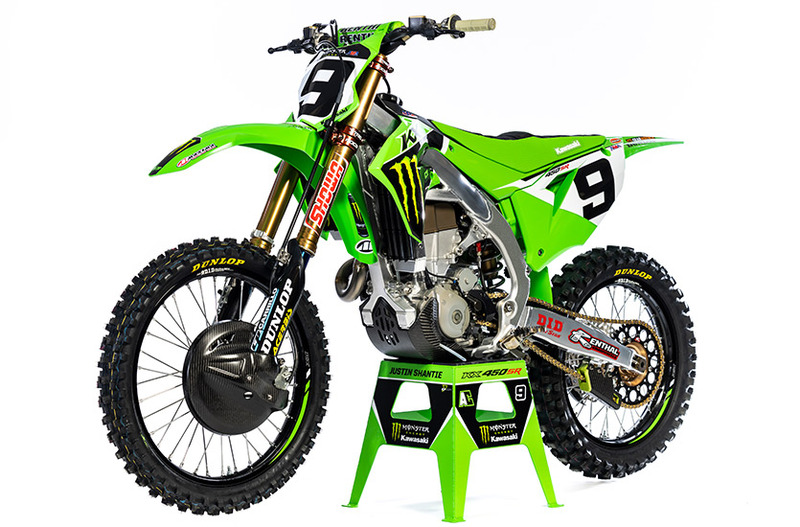 The two classes are 450SX/450MX (4-stroke 450cc machines, or 2-stroke 250cc machines) and 250SX/250MX (4-stroke 250cc machines, or 2-stroke 125cc machines), each contested by production motocross racers featuring special tuning. 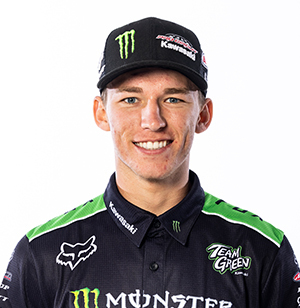 While the highly popular AMA-SX series, which draws crowds numbering in the tens of thousands, and the AMA MX championship are held in the U.S., they attract top riders from around the world. 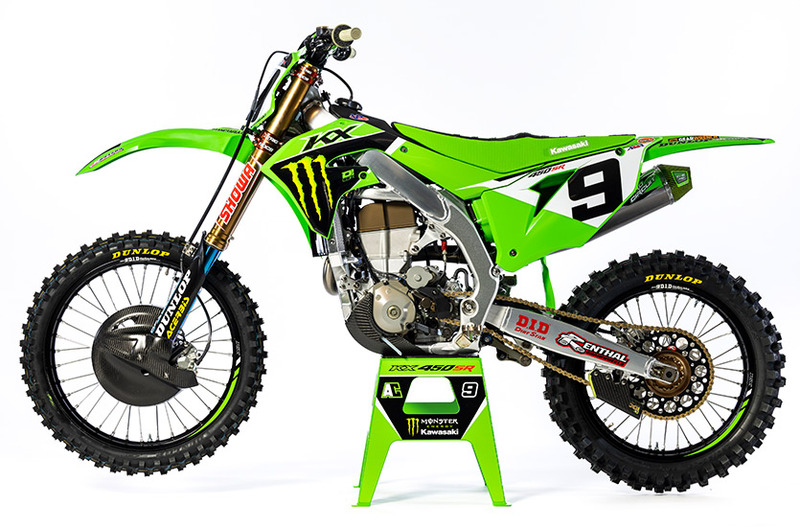 Alongside the World Motocross Championship, they represent the pinnacle of motocross racing. 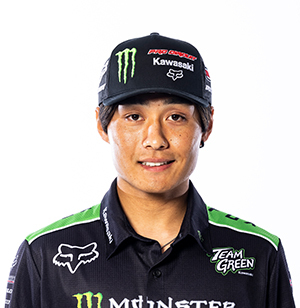 Kawasaki competes in 450SX/MX with the Kawasaki Motors Corp., U.S.A. (KMC)-operated Monster Energy Kawasaki team, and in 250SX/MX with the KMC-supported Monster Energy Pro Circuit Kawasaki team. 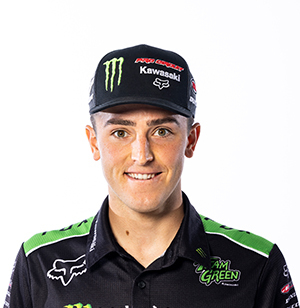 Monster Energy Kawasaki’s ace rider Eli Tomac has won back-to-back titles in the 2017 and 2018 AMA MX championship. 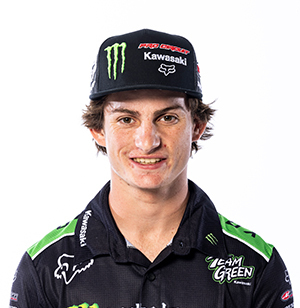 He will be striving to repeat the performance as well as capture the 2019 AMA SX title. 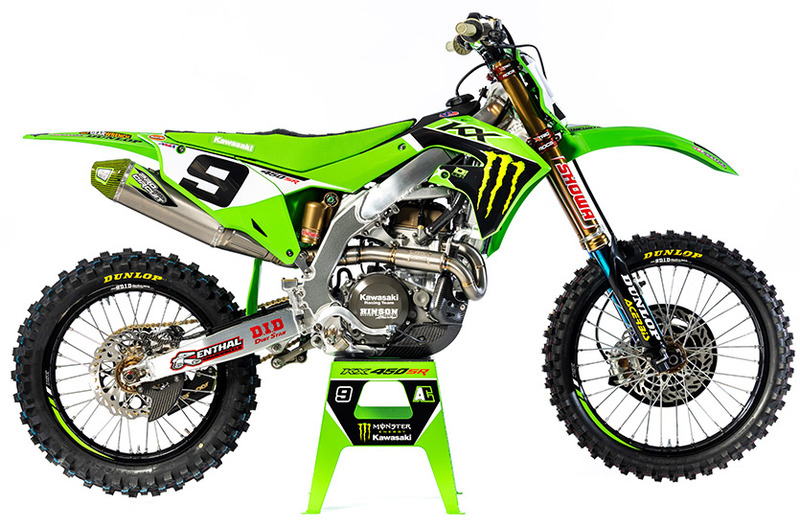 In the AMA Supercross and Motocross Championships, the Monster Energy Kawasaki team competes with the KX450. 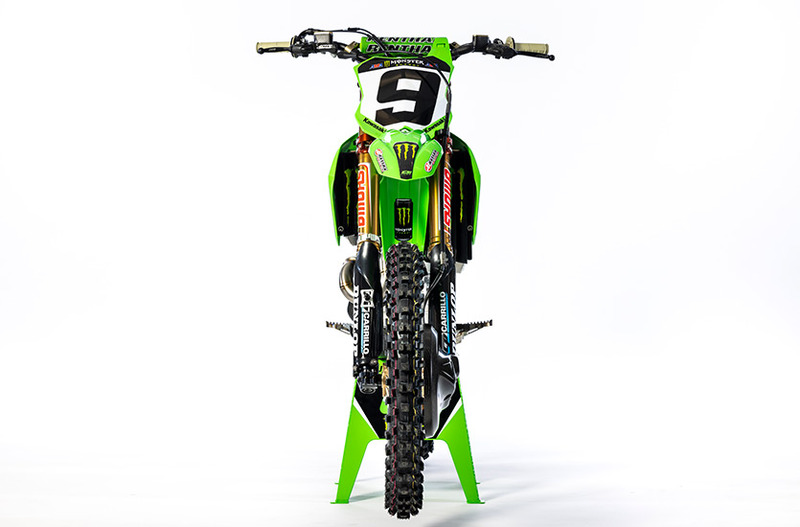 Designed to put expert riders on the top step of the podium, the KX450 base model has always featured the latest in advanced technology. Featuring finger-follower valve actuation, the highly tuned liquid-cooled 4-stroke DOHC 4-valve engine is mounted in a highly rigid aluminium frame that ensures superb control when riding at high speed. Launch Control Mode, adjustable handle and footpeg position, a hydraulic clutch and electric start are some of its class-leading features. 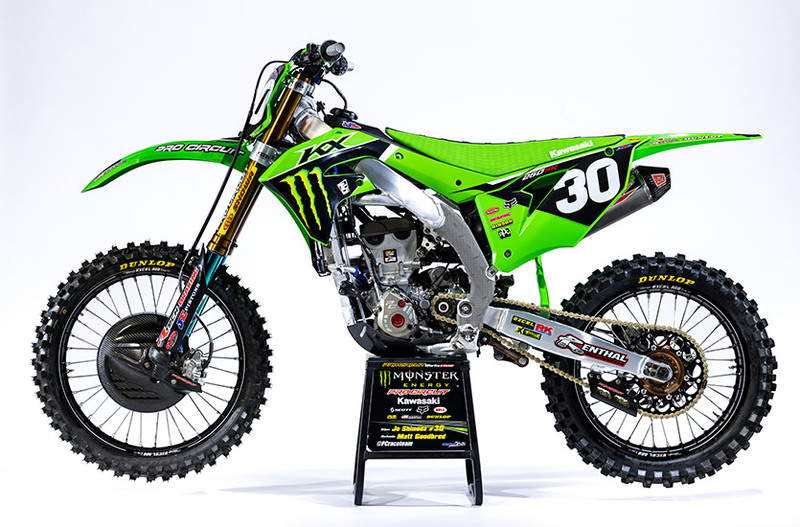 Neither championship allows engine or frame modifications, so the team elevates the KX450’s base race-winning potential with suspension and intake/exhaust tuning. 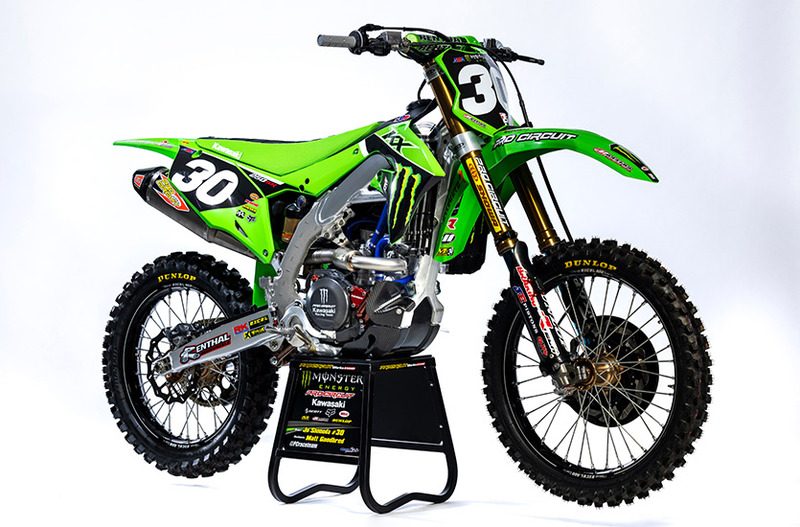 In the AMA Supercross and Motocross Championships, the Monster Energy Pro Circuit Kawasaki team competes with the KX250. 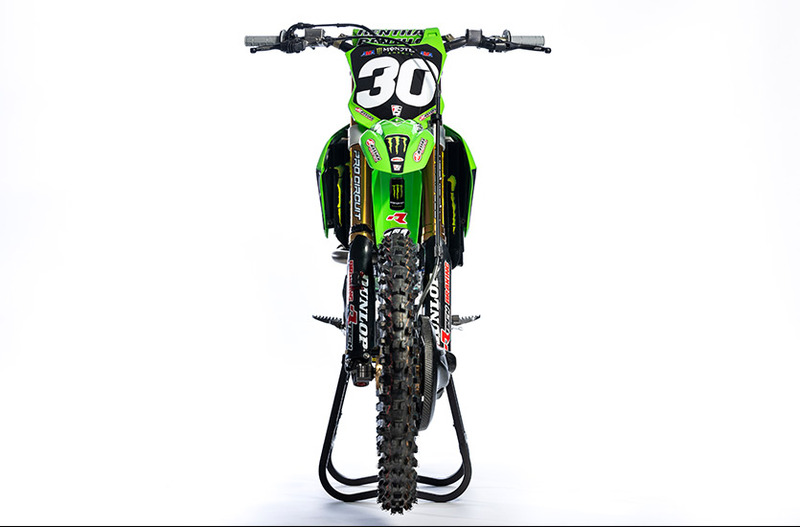 Like every KX motocrosser since the debut of the brand in 1973, the KX250 was designed based on a “Built to Win” philosophy. Its engine is the only one in the 250cc class to use dual injection – a feature that delivers its phenomenal high-rpm power. 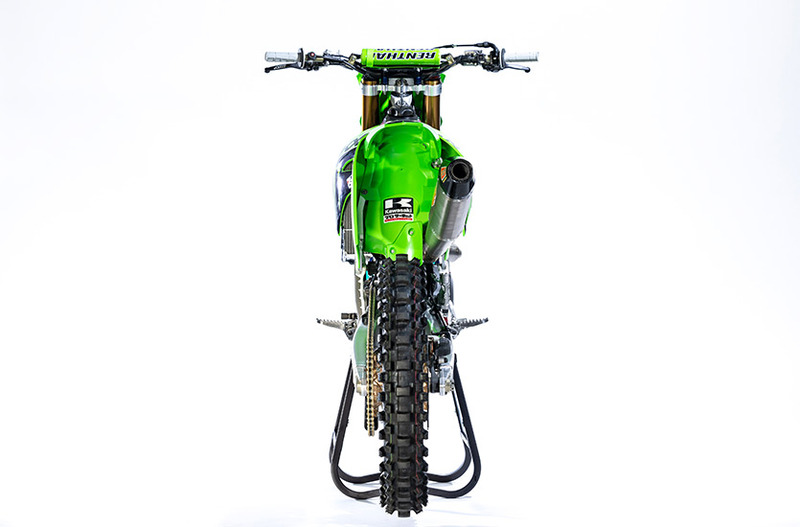 Launch Control Mode, which gives riders an edge for nailing the holeshot, and SFF (Separate Function front Fork) Type 2, which contributes to its superb high-speed controllability, are just some of the KX250’s other high performance features. 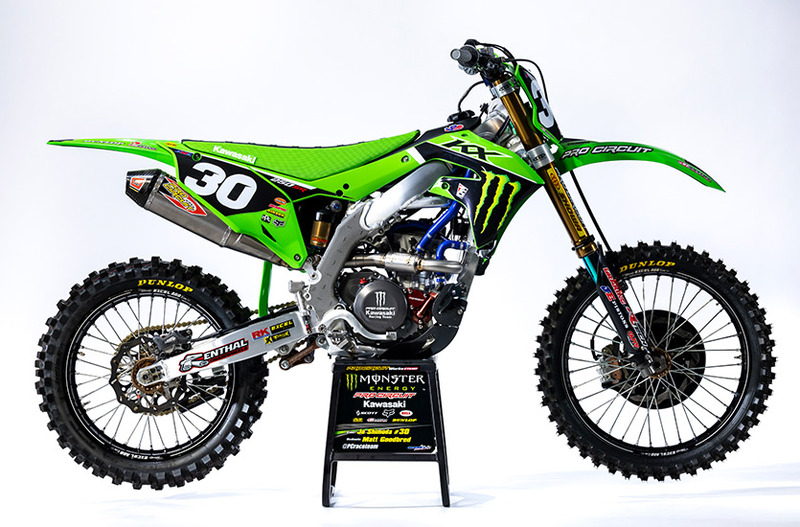 The Monster Energy Pro Circuit Kawasaki updates the base model with their own team-developed Pro Circuit tuning and aftermarket parts, further elevating the machine’s circuit prowess. 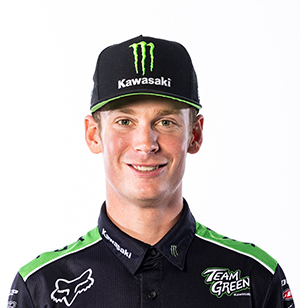 Kawasaki Motors Europe N. V.
Kawasaki Motors Enterprises (Thailand) Co., Ltd.